Earlier this summer, we learned that Sinoia Caves (a.k.a. Black Mountain synth guru Jeremy Schmidt) would finally treat his fantastic 2010 Beyond the Black Rainbow soundtrack to a stand-alone vinyl release. Today, we get our first taste of that release with a video for the song "Forever Dilating Eye." The video for "Forever Dilating Eye" comes courtesy of Black Rainbow director Panos Cosmatos, and features additional footage from the film. Pulsing black and red images work well with the song, which offers a brooding pastiche of synths and live drums. Watch the video for "Forever Dilating Eye" below. 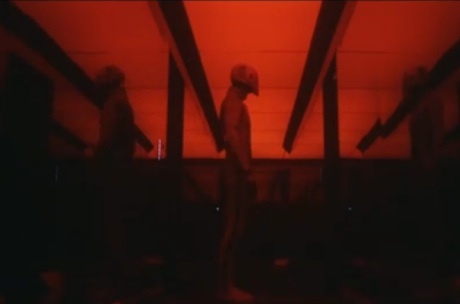 The Beyond the Black Rainbow soundtrack arrives on September 2 via Jagjaguwar/Death Waltz. Vancouver's More Than Human Brings Out Sinoia Caves, the Passenger, Phil Western for Its "Winter Ritual"